Rioja Blanco Quinto Arrio is a gorgeous pale colour. Its is fresh, non-acidic and lively yet easy going. The wine has a lovely smoothness along with pure fresh fruit that would compliment many foods very well. 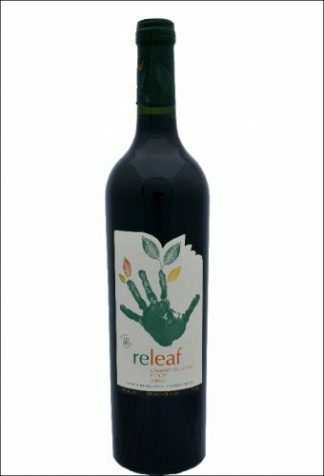 This wine is made from organically grown tempranillo grapes. The grapes are macerated for not more than one hour. The wine is then cooled at around 13° C before racking. Fermentation takes place over 15 days at controlled temperature so that the wine retains all its fruity aromas and full colour. Navarrsotillo is a quality wine producer that began in 1995 when they started converting the family vineyards, fields and orchards to organic farming standards. They released their first wine two years later. Since then the grower has focused all efforts on organic, quality wines and a commitment to caring for the earth. The vineyards are divided between several municipalities, Calahorra, Andosilla and San Adrian. This is an area called the “Rioja Mediterranean” with cold winters, mild and rainy springs and autumns, and hot dry summers. The grounds have different textures with limestone, sand, clay and gravel. This all gives the right combination of climate and “terroir” featuring the location that favours elegant wines with soft tannins.